Since Sunday was a holiday, today is really the first full day of National Coin Week and the Great American Coin Hunt. As you go to work and buy your morning coffee, breakfast, lunch, or anything else during the day, check the change you receive. There could be a surprise. Don’t forget about the ANA Trivia Contest! For those who come into my shop this week, I will be adding some older coins to the cash register and have a few giveaways for the young numismatists who visit. I will do what I can in support of the hobby, but what about you. Since I have not posted a poll in a while, I thought this would be a good way to start the week. While shipping several packages of Red Books to customers, I was thinking about the number of people who buy these and other guides. With the state of the industry changing from an IRL (in real life) experience to one more online, I wonder how many people are still using printed guides. As I thought about doing this as a poll, I started gathering some of the resources that could be considered. That is when I realized that on my overflowing bookshelf I have many of these publications! I never thought I had an extensive numismatic library but the numismatic books outnumber my tech books. Now that I am retired from the tech industry, it might be time to let the tech books go, especially the out of date books. This list serves two purposes. One is to list the general resources for numismatic pricing of mainly coins and currency. The other purpose is to provide a list of resources that others can use to build their own library. It also will serve as the categories I will use for the poll, below. NOTE: The links for all the books (except the Lighthouse Euro Catalog) leads to Abe Books. They are affiliate links. If you buy from Abe Books I make a few cents on the sale. Whatever affiliate money I earn from Abe Books is used to help pay the bills I receive for the blog including hosting and keeping the domain name registered. Of course you can buy your books from any source. However, using the affiliate link would be appreciated. POLL: What are your numismatic gift plans for this holiday season? Welcome back from your Thanksgiving Break! Today is Cyber Monday. Cyber Monday is a modern invention created back when most people only had access to the Internet through a dial-up modem and would use their company’s faster connection to do online shopping following Black Friday. In the modern world, Black Friday does not have the same meaning. It used to be when retailers would become profitable with the beginning of the holiday season sales. The name was derived from written ledgers when negative numbers were written in red and positive numbers were written in black. After Black Friday, the numbers would be written in black! But that is not how modern economics works. Company profits are measured on a quarterly basis and should be in the black all year. But why destroy a tradition! With the proliferation of broadband access from the home, Cyber Monday has also lost its meaning. In fact, there are reports that suggest that there will be more online shopping than shopping in brick-and-mortar outlets. But that is not going to stop Cyber Monday sales! It is the holiday season and regardless of your beliefs there will be presents exchanged. Or you may purchase your own present. Do you have numismatic presents on your wish list? What about for others? Do tell! What are your gift giving plans for 2017? POLL: What do you use for a price guide? While thinking about modernizing the hobby it came to me that there is one aspect of the hobby that may still be stuck in the 20th century and that is price guides. Price guides are supposed to be the guide that tells buyers and sellers the value of a coin. But over the years price guides went from being an art form to a statistical business with many different players vying for your attention. Some of these guides have a good reputation while others may not be considered the best sources for prices. In either case, collectors have been known to use both the good and not so good to determine the price of their collectible because ultimately, the price is what you are willing to negotiate with the dealer to pay for the item regardless of what the guide says. I started thinking, what do collectors use as their guide for pricing? Do they use more than one guide? If they buy a hardcopy (“dead tree edition”) do they buy new copies every year? Today’s poll wants to know what you use to determine the price of your collectible or the acceptable price to buy or sell that special item. What do you use to determine the price of coins and currency? 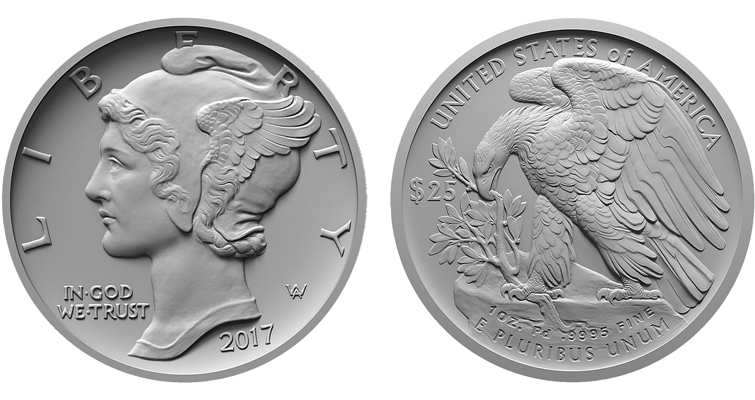 The U.S. Mint announced today that sales of the American Palladium Eagles will begin on September 29. As bullion issues, they are being sold through with authorized channels and not directly to the public. After seven years since the law was passed (American Eagle Palladium Bullion Coin Act of 2010, Pub. L. 111-303), these coins Will begin their sale. There is no indication whether the U.S. Mint will offer collectable versions or just release the bullion coins. 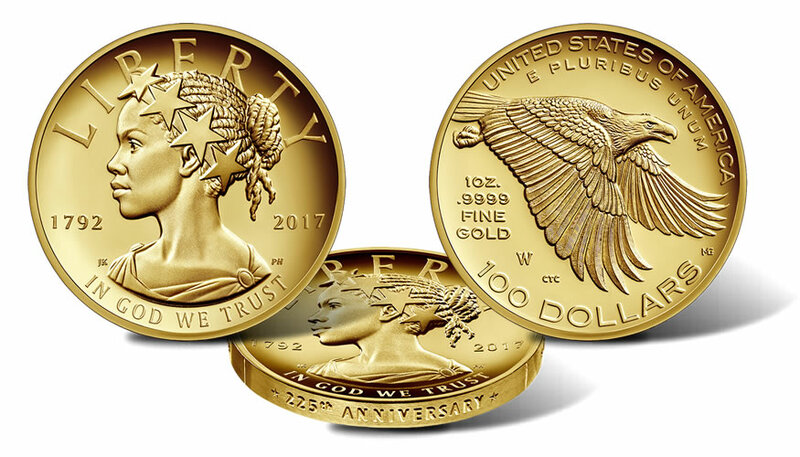 The coin will have a $25 face value and require that “the obverse shall bear a high-relief likeness of the ‘Winged Liberty’ design used on the obverse of the so-called ‘Mercury dime’” making it yet another bullion coin that will feature a design from the early 20th century. For the reverse, the law says that the coin “shall bear a high-relief version of the reverse design of the 1907 American Institute of Architects medal.” Both the Mercury Dime and 1907 AIA medal designed by Adolph A. Weinman, whose Walking Liberty design is used on the American Silver Eagle coins. The U.S. Mint does not publish the bullion and bulk sale prices the way it does for collector coins but it is likely that these coins are sold to distributors at a premium over their spot price. I guess we will find out how much these coins will cost for investors and collectors purchase when they hit the market. For today’s poll, are you going to buy one? Are you going to purchase the new Palladium Eagle? Oh yes, I love the coin! How about a Numismatic World News Podcast? For the last few weeks, I have been publishing the Weekly Numismatic World News every Sunday evenings. These posts consist of links to the articles that I find around the Interwebs along with a commentary on one of the articles or something else related to the news. I had an idea. Rather than just post the news, I would create a podcast that would allow me to report the news and add some information. Rather than typing a full discussion, the news links posted on the website would be the equivalent of show notes for the podcast. The commentary would be moved to the show. For those not familiar with a podcast, it is like a radio show but stored in an audio file that can be downloaded or listened to on demand. You can download podcasts and listen to them like any music file. There are also programs that allow you to subscribe to podcasts so that they can be downloaded when new episodes are available. If there is an interest, I can produce a weekly podcast that will look at the various numismatic-related news items with commentary in a show that is a half-hour or less. In the future, I will look to create special podcasts from events. Please note: I will continue to write this blog. It is not an either/or situation. If there is an interest, I can do both! Would you be interested in a Numismatic World News Podcast? Great idea. How soon can you begin? It could be interesting. I can give it a try. I would rather read the news than listen to it. POLL: Are you interested in the remaining U.S. Mint special collectibles? Not including the regular issues that will be sold by the U.S. Mint, the items left on their schedule is the American Liberty Four Silver Medal Set and the American Palladium Eagle. Although the price has not been announced, given the current 225th Anniversary American Liberty Silver Medal $59.95, it is within reason to predict that the four medal silver set with special packaging will cost around $250 (plus-or-minus 15-percent). The poll question of the day is are you going to buy these items? Are you interested in the remaining U.S. Mint special collectibles? Image courtesy of the U.S. Mint. It has been a while since I did a poll and was curious how readers feel about the upcoming 225th Anniversary Enhanced Uncirculated Coin Set. If you have not heard, the U.S. Mint announced that they will produce a set of enhanced uncirculated coin featuring all of the coin releases for this year in a package similar to that used for their proof sets. Enhanced Uncirculated coins are struck using dies that have been specially laser etched to use levels of frosting to give the designs a more in-depth look. An advantage of the enhanced uncirculated process is the ability to selectively apply the frosting to the die. One of the coins where this had a real dramatic effect was the 2013-W American Silver Eagle. The enhanced uncirculated American Silver Eagle was only sold as part of the 25th Anniversary set. 2013 American Eagle West Point Two-Coin Silver Set with reverse proof and enhanced uncirculated coins. According to information currently available, the coins will be struck on the same planchets as what is used for business strikes. No price has been set, but the 2017-S Silver Proof set costs $47.95 and the non-silver 2017-S Proof set is selling for $26.95. To be complete, the 2017 Uncirculated set that contains 20 coins, one of each type from both the Philadelphia and Denver Mints is selling for $20.95. If I had to guess, I think the 225th Anniversary Enhanced Uncirculated Coin Set will sell somewhere between $28.95 and $32.95. That being said, will you buy one a set? 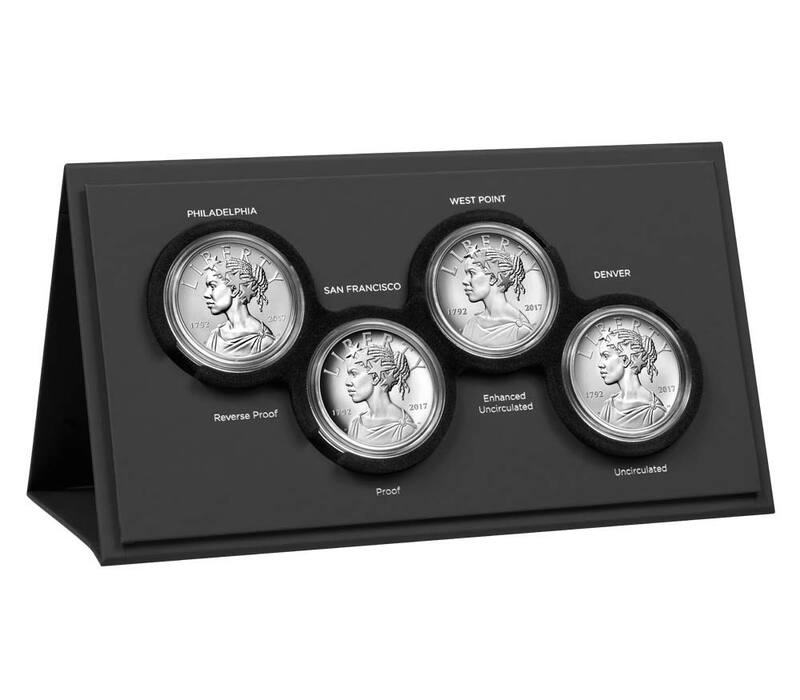 Are you planning to buy the 225th Anniversary Enhanced Uncirculated Coin Set? POLL: Would you participate in a crowdfunded numismatic book project? I have been working on a few manuscripts over the last year. If I put in the extra time, I can publish two of them within the next few months. Both books are more of a labor of love, taking some of the best content from this blog plus some additional information and packaging it for a book. I am not settled on the format of one of the books and considering a different approach. After nearly 11 years of writing this blog, I have a lot of information that can be shared in a much longer form than I can on a blog. But I would rather polish the manuscripts and have them in the hands of the collecting public than sitting on my computer. A long time ago, I authored a technical book and contributed to another. My book is very out of date and would have liked to have provided an update. But since the publishing company owned the rights, it was not seen as a priority and has languished. I learned that unless the publishing company is willing to allow updates, I am better off trying to self-publish my work. My experience also taught me that unless you write a New York Times Bestseller, nobody is getting rich off of publishing a few books. But publishing has its costs whether it is paid by a publishing company or by me, if I self-publish. 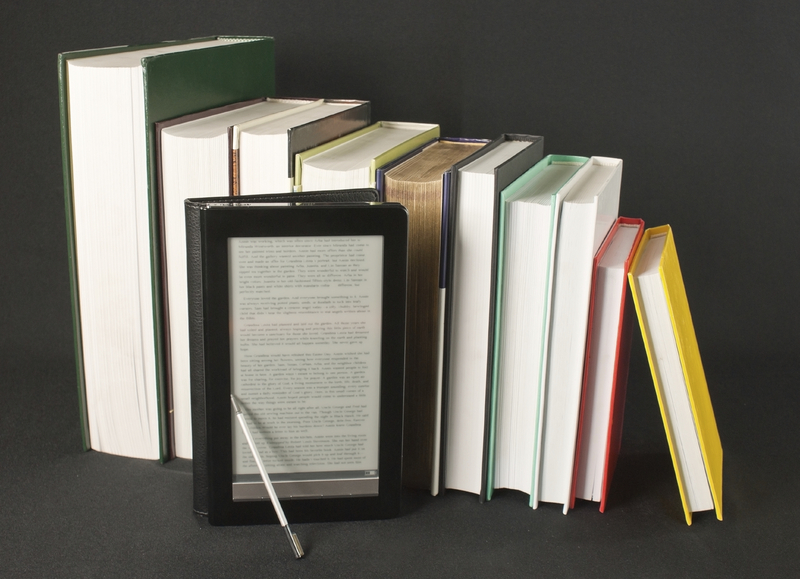 Self-publishing is relatively easy but it does require paying the up-front costs. I need help with the funding. One way people have been able to fund new ventures is through crowdfunding sources. Websites like Kickstarter and Indigogo provide a service where someone can have a project funded. Those who provide funding get a reward for helping, such as early access to the project being funded and having your name added to the acknowledgements. I have participated in helping fund a few projects, but the only numismatic-related project was for the Baltimore BNote. The rewards for funding the project was receiving BNotes, which I still own. I thought it might be worth a try. When the books are ready to be published, it is my intention to make them available in both printed and in an electronic form. The electronic version will be made available for the most popular devices (Kindle, iBooks, and the Nook) as well as one that can be used on any computer or device (PDF). There may also be additional rewards for larger donations (I have an interesting idea). Would you be interested? Let me know what you think. Would you participate in a crowdfunded numismatic book project? POLL: Do you collect modern U.S. coins? This past weekend, I had a discussion with someone I met at an estate sale about collecting modern versus classic coins. Although I recognize the differences in collecting each type, I think that after 53 years, it is time to give modern coins a chance. The modern era of United States coins begins in 1965 when silver was removed from circulating coins except for the Kennedy half-dollar. The silver content of the half-dollar was reduced to 40-percent and clad around a copper core while the dime and quarter were copper-nickel clad, as they are today. It would not be until 1982 when the cent was changed from being 95-percent copper to being copper-plated zinc coins. The nickel has used the same copper-nickel composition since the release of the 1883 Liberty Head nickel except for the World War II issues. For the average collector under 40 years old, coins have always been copper-nickel clad and the cent has always been made from copper-plated zinc. For a significant amount of their lives, the reverse of the Lincoln cent always had the Lincoln Memorial and the reverses of the quarter have been changing ever since they can remember. While many of us grew up with single designs, those of us who were around for the Bicentennial will remember the special reverses produced for the quarters, half-dollars, and dollar coins. 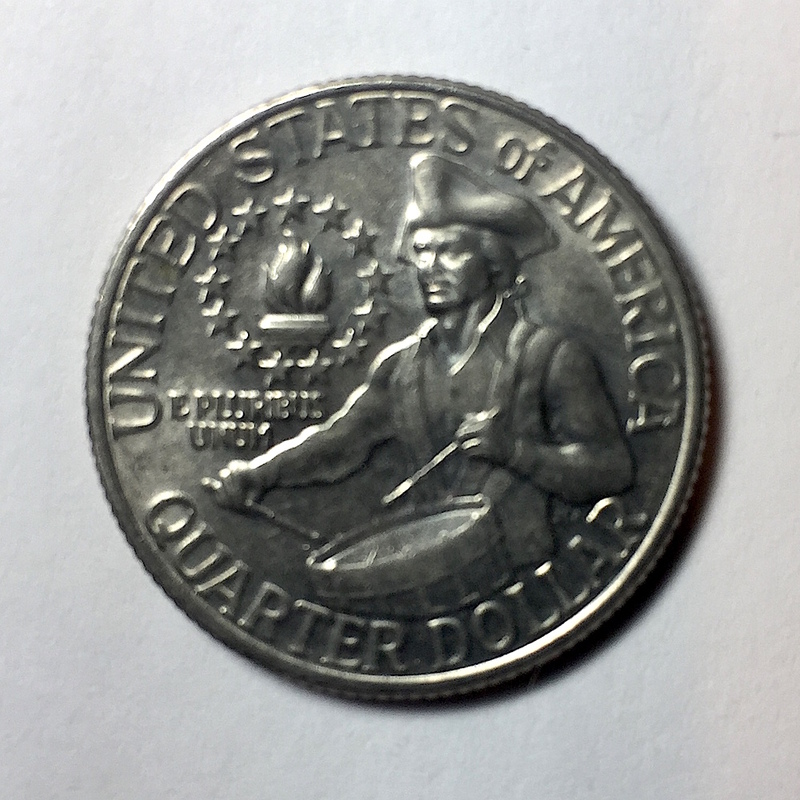 In fact, the Drummer Boy reverse of the dual-dated 1776-1976 quarters remains my all-time favorite circulating commemorative reverse. Maybe it is time to give modern coins more respect. What do you think? Do you collect modern coins? If so, how? I collect uncirculated coins in a series saved in an album. I collect proof coins in a series saved in an album. I collect uncirculated Mint Sets. I have a collection of modern commemoratives. My modern collection consists of American Eagles, Buffaloes, and other precious metal coins. You forgot some of the cool medals that the U.S. Mint produces! Modern coins? I cannot be bothered with them!